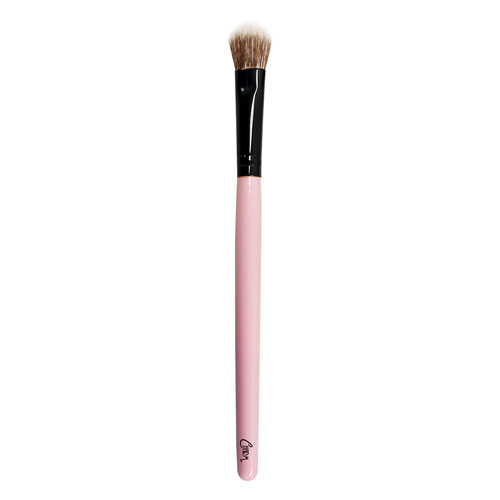 A small, fluffy, and dense vegan brush for depositing color on the lids. It blends eyeshadows into a seamless gradient and dusts loose powder around the eye area. It also ensures you a luxurious experience in applying makeup as it feels like silk on the skin. Perfect for that eye looks that pop. FULL SIZES: 1 pc. PRICE: PHP 250.00 AVAILABLE AT: PureBeauty, Serendra - 2F Bonifacio Global City, Taguig City PureBeauty, Trinoma - 2F, EDSA cor. North Ave. Quezon City PureBeauty, Glorietta 4 - (Formerly Beauty Cocktails) 2F, Ayala Center, Makati City beautyandminerals.com BeautyMNL.com SOCIAL MEDIA: Facebook: www.facebook.com/charmmakeupbrush Instagram: @beautyandminerals #charmbrushes Twitter : @beautynminerals Get a FREE sample now!